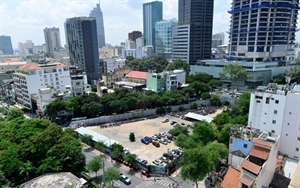 HCMC People's Committee has just approved the planning and architectural plans of SJC Tower project in the Le Loi quadrangle – Nam Ky Khoi Nghia – Le Thanh Ton – Nguyen Trung Truc (Ben Thanh ward, District 1). The project will reduce the height from 208 meters to 199.8 meters by reducing the number of floor from 54 to 46 consists of office, hotel, commercial and serviced apartment. The condominium for sale component is removed. Vietnam’s leading estate developer Sun Group has inaugurated three major transport infrastructure projects in the northern coastal province of Quang Ninh, including the Van Don International Airport, the Ha Long International Cruise Port and the Ha Long – Van Don Highway, at a total cost of VND20 trillion ($862 million). 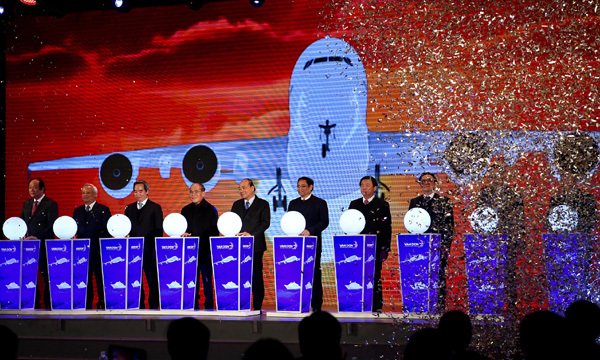 The launching ceremony, held at the Van Don International Airport on December 30 was attended and presided over by Prime Minister Nguyen Xuan Phuc. Singapore, a major international financial hub, lost its crown as Southeast Asia's top grossing market for initial public offerings in 2018. It was brought down by Vietnam, which is often not top of mind for stock investors. In fact, the communist country is still considered a frontier market by major index providers, meaning it's thought to be less established and riskier than even emerging markets. Singapore, meanwhile, is classified as a developed market. 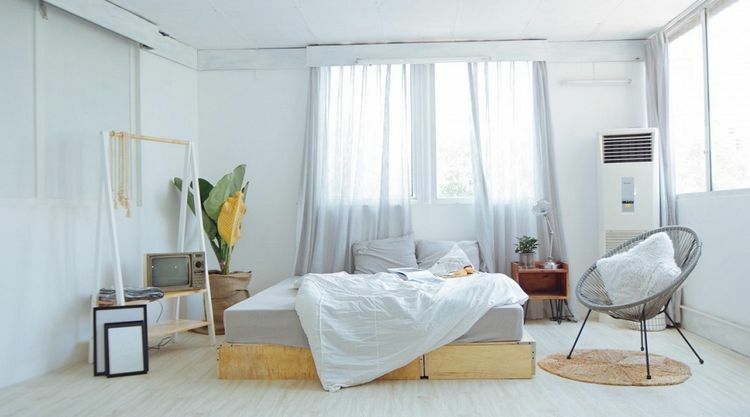 Vietnam’s rental sharing startup Luxstay has raised $3 million in a bridge round from CyberAgent Ventures, Y1 Ventures and some other investors, according to a statement. CyberAgent Ventures, which is helping the startup with an internal structuring exercise and has facilitated the bridge round, first invested in the firm in early 2018. 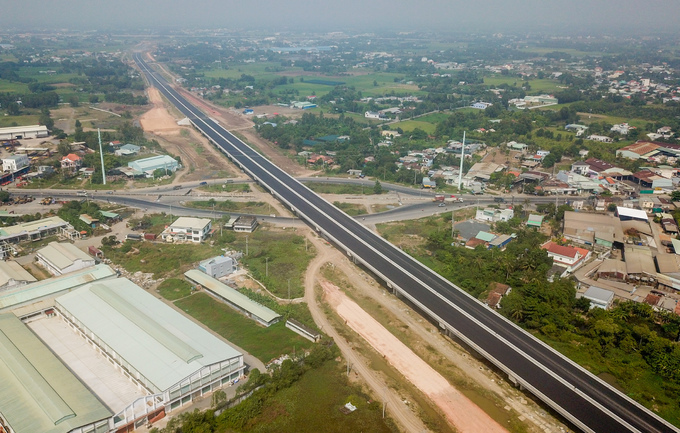 Delays in acquiring lands mean completion of the Ben Luc – Long Thanh Expressway has been pushed back from 2018 to 2020. The Ben Luc – Long Thanh Expressway connecting the southern provinces of Long An and Dong Nai with HCMC will be 57.7km long. Its construction began in 2014 at a cost of around $1.6 billion. Once completed in 2020 it will be the longest expressway in southern Vietnam. 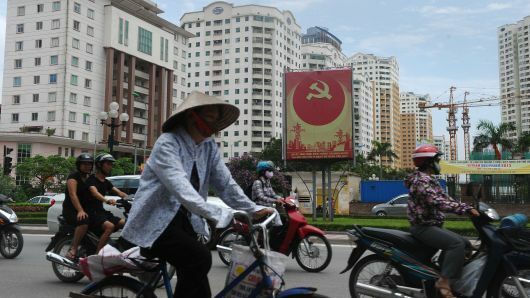 The deal is expected to be completed by June 2019, for which real estate firm Hanoi Hotel Tourism Development would acquire the stake amount in offer. 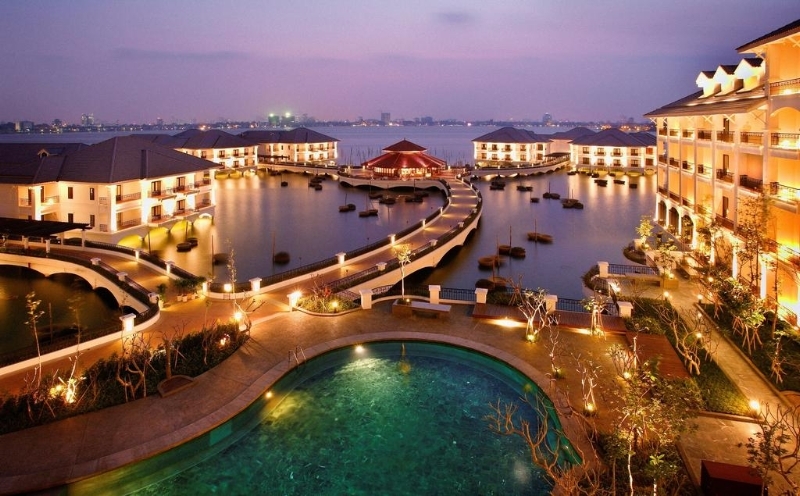 Malaysia’s Berjaya Land said it has disposed its entire 75% stake in the joint venture T.P.C Nghi Tam Village, the operator of the international five-star Intercontinental Hanoi West Lake Hotel in Hanoi for RM222.18 million (US$54 million). 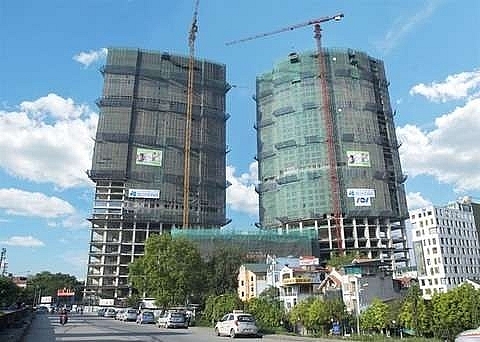 The Ministry of Construction will carry out routine compliance inspections on investment and business practices at many big real estate firms in 2019, including MBLand, Mipec, Lac Hong, Thuong Tin and Eurowindow Nha Trang. Last year, the ministry conducted 93 inspections in the aforementioned sectors. 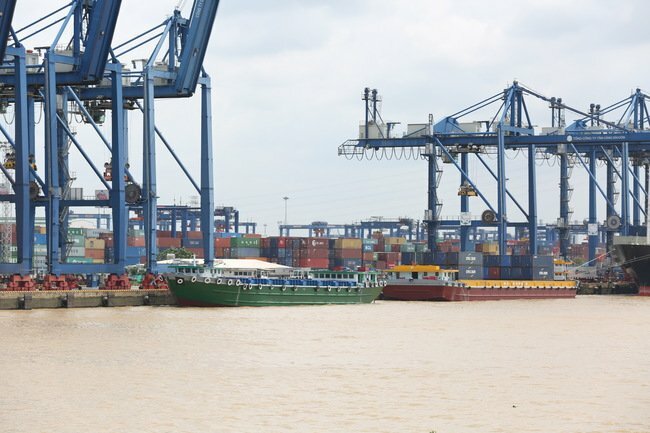 It released 72 inspection results in 2018 and proposed fines of VND927.5 billion. It also proposed handling the violations of 155 organisations and 235 individuals after its inspections in 2018. 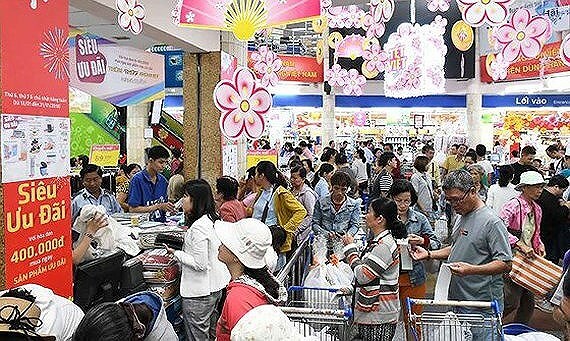 Supermarkets and trade centers were crowded with customers during the four day New Year Holiday from December 29 to January 1, according to Sai Gon Giai Phong Newspaper’s record. Purchasing power was reported double over normal or increase 10 percent over the same period last year at many supermarkets and shopping malls such as Co.opmart, Big C, Vincom, Parkson, Aeon, Crescent-mall and Mega Mall. HCMC has the intention to construct a 17km sea-crossing bridge linking it with a neighboring region for tourism purposes. 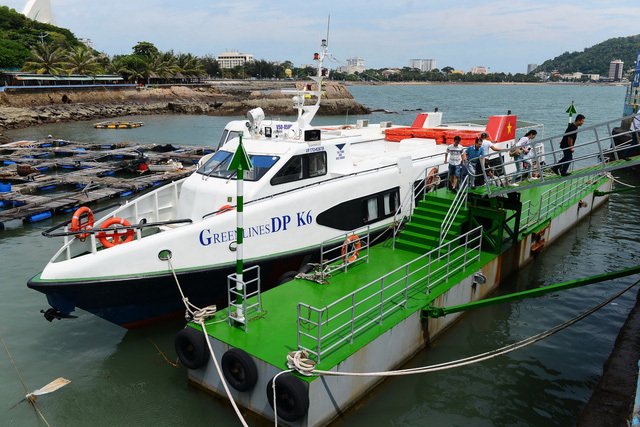 The administration in the southern metropolis’ island district of Can Gio stated at a meeting on Saturday it is trying to lay the groundwork for a proposal to build the modern bridge, which is planned to connect the area to the tip of Ba Ria-Vung Tau Province. The Government is aiming for a softer gross domestic product (GDP) growth rate of 6.8% this year and an inflation ratio of less than 4%, according to a new resolution on key tasks and measures to execute the socioeconomic development plan and the State budget estimates for 2019. In 2018, the country achieved a ten-year-high GDP growth rate of 7.08%.